We pride ourselves on being able to offer each of our clients with accurate and reliable accounting services. When it comes to preparing your taxes and making financial choices for yourself or your business, finding the right help is essential. At Wisconsin Valley Tax & Accounting, S.C., we provide individualized, detail-oriented solutions to meet your specific tax filing needs. We all know taxes can be a headache. With ever-changing rules and regulations, preparing your taxes can be a daunting challenge for anyone. Thankfully, you don’t have to do it alone. 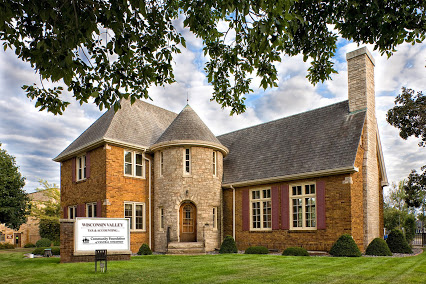 Wisconsin Valley Tax & Accounting, S.C., offers the best in professional tax preparation in Stevens Point, WI. As a locally owned and operated CPA, we offer detailed and individualized tax preparation services. With over 25 years of experience and satisfied clients, you can be confident that when you come to us for tax prep in Stevens Point, WI, you won’t have to worry about your taxes again. Family-owned and operated, we have over 25 years of experience and satisfied clients to recommend us. We offer professional tax preparation solutions at competitive prices to meet any budget. We specialize in individualized solutions focused on the specific needs of each client. Our professionals are well-versed and up-to-date with tax regulations in order to make sure you get the most from filing your taxes each year. We are a Wisconsin Certified Public Accountant. Whether you are an individual or a small business owner, filing your taxes doesn’t have to be a headache any more. For the best in quality tax preparation, choose Wisconsin Valley Tax & Accounting, S.C. Individual and small business tax preparation. Bookkeeping, bank reconciliation, payroll preparation, and compilations. Licensed CPA.